BAAITS now has a two-spirit drum. All Two-Spirits and their allies are welcomed to come learn to sing and drum our traditional songs on the 1st Thursday of every month from 7:15 - 9:00pm at LGBT Center at 1800 Market in SF. Jaynie Lara teaches the songs, sings and drums on the Sweet Medicine Drum, an all Native women drum. Native blog welcomes subscribers. The blog contains news of interest to Native Americans, Hawaiian Natives & Alaskan Natives, with news and action requests and an occasional humorous entry. To subscribe: http://andrekaruk.posterous.com/ From Andrew Cramblit. The SF Native TANF Program has moved downtown to - 33 New Montgomery Street, San Francisco, CA 94105. Toll free 1-888-618-TANF, 415-284-9661. LGBTQ teen suicide/crisis hotline: *1 866 488 7386 * From The Trevor Project. The Women's Self Worth Foundation has pledged $250,000 to the American Indian College Fund over four years for 14 scholarships to American Indian women. 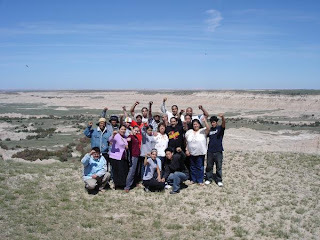 The grant funds 2-4 year scholarships for Native women pursuing degrees at tribal colleges (11) and mainstream colleges or universities (3). Preference to applicants who show academic achievement and community involvement. 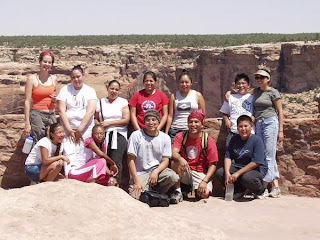 The Fund is the nation's largest provider of private scholarships for American Indians, providing 6,000 scholarships annually. FMI: www.collegefund.org SOURCE American Indian College Fund. For free events in the Bay Area, check out mybart.org, and sf.funcheap.com. Also in Oakland, kids eat for free. TV: San Jose, Channel 15, Native Voice TV, Sat 4-5 pm. Hosts Cihuapili and Michael New Moon. Also 1st, 3rd, 4th Mon, 8 pm courtesy La Raza Round Table. Bay Native Circle, Wed 2-3 pm, kpfa.org 94.1 fm, McVicar / Antoine producers, Berkeley. Indian Time Tues 8-10 pm, kkup.com 91.5 fm, Jack Hyatt/David Romero. Native Way, 2nd/4th Sun, 1-3 pm, David Romero / Veronica Gonzales. San Jose. On Native Ground - Where Art Speaks! kdvs.com, 90.3 fm, Thurs 8:30-9:30 am, Jack Kohler / Patrice Pena. 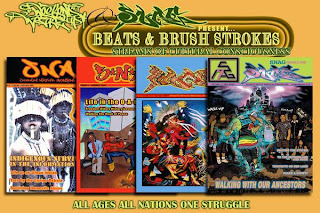 Sovereignty Sound, DJ Ya-nah, Sun 3-6 am, 916.380-2818. Davis. 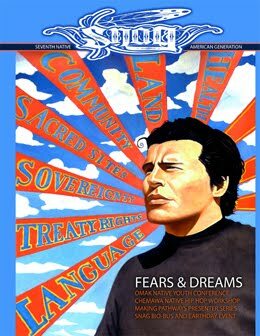 Webworks: Voices of the Native Nation, 3rd/4th Wed, 6-8 pm, kpoo.com 89.5, Mary Jean Robertson, San Francisco. 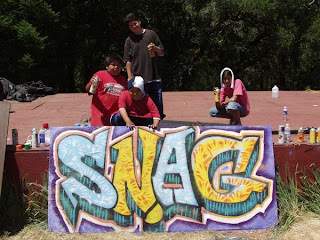 Bay Area native community network. News from Native California Quarterly newsletter. Submissions email, or PO Box 9145, Berkeley, CA 94709 or fax 510.549-1889. Four Directions AA Meetings, Sundays at 2, IFH, 523 International Blvd, Oakland. Meetings: 1st Sun: Birthdays; 2nd Sun: As Bill Sees It; 3rd Sun: Step Study; 4th Sun: Basket Drop. Children welcome, open meeting. FMI Brandi, 510-776-8946. Medicine Warriors All Nations Dance Practice. Free, open to all. Thurs, 7-9 pm, IFH, 523 International, Oakland. Gilbert Blacksmith and Mike Bellanger organize with help from the MWAN planning committee. Welcome to Lakota Holder, the new organizer for the MWAN Thursday nite events! Motto: Friendship, Fitness, Fun. Gathering Tribes, 1412 Solano, Albany. 510.528-9038. Weekend artist presentations. 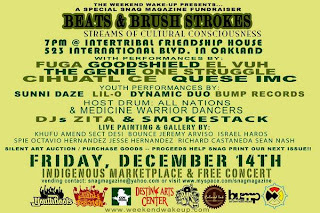 Intertribal Friendship House, 523 International Blvd, Oakland. 510.836-1955. Classes: Tues: 6-9 pm, Beading Circle w Gayle Burns (Muskogee Creek), Drum, Aerobics. Thurs: Medicine Warriors/All Nations Dance, Fri: Talking Circles, Sat: Gardening, Parenting. Library open some Tues/Thurs. Oakland Museum of California, 1000 Oak St, Oakland. 501.238-2200. Includes an historical display of California lifeways and basketry. Free First Sundays. Phoebe A. Hearst Museum of Anthropology, UC Berkeley, 103 Kroeber Hall, Berkeley. 510.643-7649. Wed-Sat, 10 am-4:30 pm, Sun 12-4 pm. Free; $5 tours, $2 children. CN Gorman Museum, 1316 Hart Hall, UC Davis. Closed Jun 14 - Sep 27 due to State and University budget cuts in 09-10. FMI: cngorman@ucdavis.edu 530.752-6567. California Indian Museum, 1020 O St, Sacramento. “American Masterpieces: Artistic Legacy of California Indian Basketry,” Through early 2010, Admission. Jesse Peter Native American Art Museum, Santa Rosa Jr. College, Bussman Hall, 1501 Mendocino Ave, Santa Rosa. 707.527-4479. California cultures, artists change monthly. Maidu Museum and Historic Site, 1960 Johnson Ranch Dr., Roseville. 916.774-5934. Marin Museum of the American Indian, 2200 Novato Blvd., Novato, 415.897-4064. “Sharing Traditions,” last Sat, 1-4 pm. Tues-Sun 12-4 pm. Free. Mendocino County Museum. 400 E. Commercial St., Willits, 707.459-2739. Wed-Sun: 10 am-4:30 pm. Pomo baskets and basket weavers. Free. Northern California Flute Circle. 530.432-2716. Native Am. Flute concerts & workshops. Pacific Western Traders, 305 Wool St., Folsom. 916.985-3851 Wed-Sun, 10 am-5 pm. Native American arts, books, recordings, videos, Pendleton blankets. Changing exhibits. Vallejo Inter-Tribal Council. Mugg’s Coffee Shop, Ferry Building, 495 Mare Island Way, Vallejo. 707.552-2562 or 707.554-6114. Call to confirm Wed 7 pm meetings. Cantor Arts Center, Stanford. 650-723-4177. “Living Traditions: Arts of the Americas,” Northwest Coast, California, Southwest, and Mesoamerica collections. Wed–Sun. Free. de Young Museum, Teotihuacan murals, California baskets, Inuit/Eskimo art, Pueblo pottery. Free 1st Tues, Golden Gate Park, 50 Hagiwara Tea Garden Dr, SF, 415.750-3600. Images of the North. Inuit sculptures, prints, masks, jewelry, plus several exhibits per year, and Oct. Cape Dorset Print Show. 2036 Union St, SF, 415.673-1273, gallery@imagesnorth.com. Kaululehua Hawaiian Cultural Center, 423 Baden Ave, So. SF. Mon: Men & Women (13-40) 6:30-7:30 pm; Tues: Kupuna (50+) 6-7 pm; Wed: Keiki (5-12) 6-7 pm; Thurs: Makua (35-50) 6:30-7:30 pm. Need only bring an open mind and a willingness to learn. ($10/class for the month of September) rsvp: info@apop.net or call 650-588-1091. Mission Dolores. 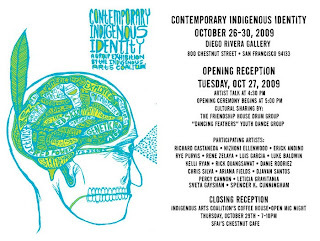 3321 16th St, SF, 415.621-8203, Andrew A. Galvan, (Ohlone), Curator. SF’s oldest intact building and the only intact Mission Chapel of the original 21. Final resting place of 5,000 First Californians. Native plants and artifacts. Indian Canyon, Ceremonial Refuge/Facilities, w. of Hollister, ams@indiancanyon.org. The “Annual Events” section aims to help community and event planners avoid scheduling conflicts and plan in advance. For inclusion email listings in same format as listings below. Wopila! Also, you can post your events on the Bay Area Native American Indian Network with full details and see what else is happening! 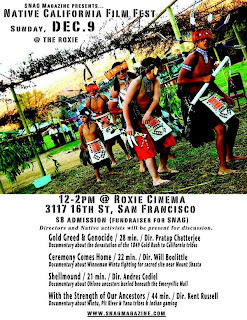 Nov 5-13, Sat, AIFF American Indian Film Festival, SF, filmfestival@aifisf.com. Nov 13, AIFF Awards Night, SF, www.aifisf.com. Nov 22-24, AIM National Conference, SF, eltonyg@earthlink.net. Nov 25, Sunrise Ceremony, Alcatraz Island, morningstar@treatycouncil.org. 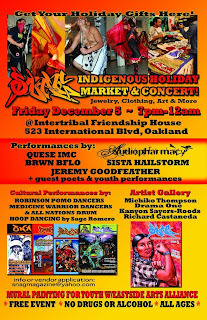 Dec 4-5, AICRC Powwow, Laney College, Oakland, mary@aicrc.org. Jan 29, MWAN B-Day Party, IFH, Oakland, gilbert_blacksmith@hotmail.com. Apr 30-May 1, CA Indian Market, San Juan Bautista, fourcornerstrading@msn.com. May, Mothers Day Weekend, Stanford Powwow, info@stanfordpowwow.org. May, c. 15, Sat, CA Indian Market, Tuolumne, jbates@blackoakcasino.com. Jun 5, Sat, Gathering of Honored Elders, Sacramento. Jun 19, Sat, Storytelling Festival, Indian Canyon, Hollister, ams@indiancanyon.org. 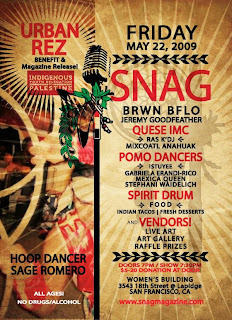 Jun 20, Sun, Fathers’ Day, Native Contemp Arts Festival, SF, janeenantoine@mac.com. Jul 17, Sat, Kule Loklo Big Time, Point Reyes National Seashore, 415.464-5100. Sep 11, Sat, MWAN Powwow, Oakland, gilbert_blacksmith@hotmail.com. Sep 18, Sat, AmInd Heritage Celeb/Big Time/Powwow/Market, San Jose, vmcloud@ihcscv.org. Sep 18-19, Black NA Assn Powwow, CSU Hayward, ltcloud@sbcglobal.net. Sep 24, 4th Fri, California Indian Day. Oct 2-3, NAHC Pow Wow, Treasure Island, catherinew@nativehealth.org. Oct 2, Tlingit Haida Gathering, Oakland 1st Congre. Church, haidawoman1@yahoo.com. Oct 3, Ohlone Gathering, Coyote Hills, Fremont, chvisit@ebparks.org. Oct 9, IPD Pow Wow/Market, Berkeley, info@ipdpowwow.org. Oct 11, IPD Sunrise Ceremony, Alacatraz, morningstar@treatycouncil.org. Oct 30, Sat, Oakland Library N. A. Culture Day, rchacon@oaklandlibrary.org. See all the information on the flyer below. Contact us if you're interested in volunteering: snagmagazine@yahoo.com. Contact us if you're interested in sponsoring an upcoming event: snagmagazine@yahoo.com.